whose purpose is to assist with planetary ascension. We ARE here for GAIA. This is our mission. It is the NOW to connect to our courage within and become powerful Multidimensional Leaders. The current state of planetary transformation requires us to step into our Multidimensional Power, Unconditional Love, and Infinite Wisdom. It is the Now to tap into our personal mission and join with our fellow leaders to create a Unified Force of indomitable strength, fierce courage, soul uniqueness, and cultural empowerment. 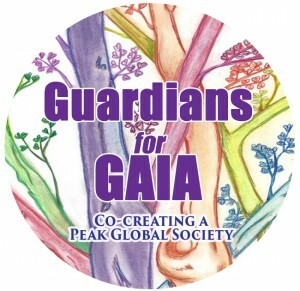 Together we can, and will, collectively create the highest possible reality and embody the role of Guardians and Spiritual Protectors in service to escalate GAIA into a peak global and galactic reality. The Arcturians and our extended Galactic Family of Guardians were pleased to inform us that they will be overlighting this entire course. 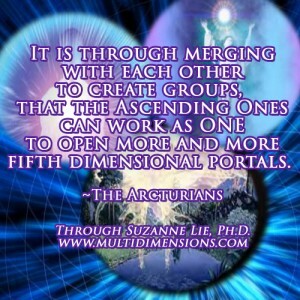 They will be arriving in our webinars, meditations, and discussions to share important messages and real-time updates. They also plan to extend personal invitations to the members of the course. We are honored to receive this direct guidance and mentorship, and we hope you can join us. As with all previous leadership courses, we will approach this training with flexibility, and we will all stay in the flow to accommodate what comes forth. Go within and assess if your soul is calling you forth to participate in this impactful and important Multidimensional Leadership Training. If so, please read the following course details and state your intention within yourself to attend this powerful, transformational course. All are welcome to join us for a FREE primer to get intimately connected to our Higher Selves prior to the leadership course. We encourage each of you to join us for a week of Higher Self immersion as we prepare for a full leadership training ahead. If you intend to attend the leadership training, we strongly encourage you to participate in this preparation. To participate, please follow the Awakening with Suzanne Lie blog posts. Additional events will potentially be planned in addition to the events above (within the Now), including follow-up discussions, meditations, and additional meetings. All webinars are hosted online in the GoToWebinar format. They will be recorded and shared with all leaders. 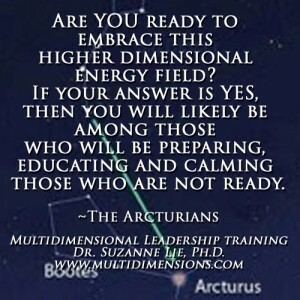 All leaders in training will receive a 20-minute one-on-one session with Dr. Sue and the Arcturians. They will be scheduled according to your availability. 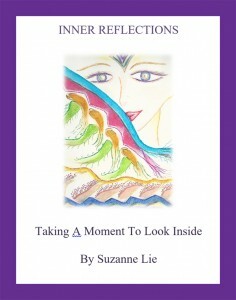 All leaders in training will receive a free copy of Inner Reflections, a 180-page book of poems by Dr. Suzanne Lie. 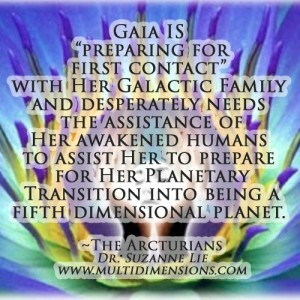 We recommend that newly awakened ones spend time immersing themselves in the Arcturian teachings (and Suzanne Lie’s book series, Pleiadian Perspective on Ascension & Preparing for First Contact) and revisit the leadership course opportunity at a later time. What could be more important than planetary ascension? Our multidimensional leadership training programs are evolving in the NOW to enable us to align to our purpose of serving the planet. 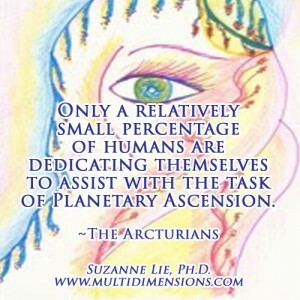 Stay tuned as the Arcturians continue to guide us along the pathway to planetary service and full awareness. Course material for the Leadership Training is based on the NOW of the energy field that we have created with our multidimensional, group, planetary, and galactic consciousness. Our Multidimensional SELF exists within the NOW of the ONE. WE are an expression of our Multidimensional SELF. In this manner, we exist in the NOW of the ONE. We are the “Creators of Our Reality.” Our every decision is a creation, and each of our creations builds the foundation for our next creation. Every time we make a decision/creation our energy field shifts to create a new foundation for our next decision/creation. In this manner, we remember how to LIVE within the NOW. What we BELIEVE we PERCEIVE. And, the reality we PERCEIVE is the reality we LIVE. By changing/expanding our beliefs, we can change/expand our perceptions. In this manner, we create our reality. In this manner, we create the NOW of living as ONE with Gaia. Join our Leadership Training and immerse yourself in multidimensional teachings comprised of lessons, webinars, discussions, meditations, guidance, mentorship, and supplemental teachings. This material will immerse you in Higher Self connections and explorations. The course consists of a combination of self-study and introspection, as well as live participation in unity consciousness webinars, meditations, discussions, and presentations with a group of fellow leaders in training. A significant time commitment is required throughout the entire course in order to gain the greatest benefit. 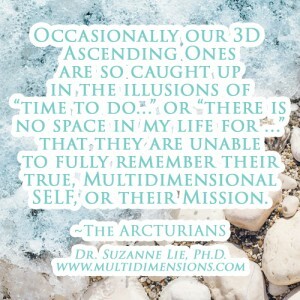 You will be invited to attend several live webinars where relevant material is discussed in depth and taught by myself and the Arcturians. These events will serve to introduce and build unity among fellow students and serve as a real-time learning environment. A collaborative group project is usually conducted during the course, and a final project presentation is usually made by students during the final webinar. Please stay tuned for notices of upcoming course opportunities, which arise throughout different times in the year, as we allow the Arcturians to guide our schedule going forward. You are welcome to sign up to receive course notifications. In the meantime, if you have additional questions regarding the course, please contact me at suelie@me.com. We have developed comprehensive learning opportunities, and we are continually expanding the program to provide the training and mentorship needed to prepare you to continually resonate to the highest level of service for the planet. We welcome all of our new students! We are excited to bring forth new groups of courageous, talented, and multidimensional wayshowers. Many of our current students are already amazed at the impact of the coursework upon their lives. What will the future hold for you? Thank you in advance for stepping up and honoring your soul’s desire!